Mike has been a freelance writer since his first publication, "Publishing Fever," in 1980. Today he has more than 300 publications in all media: newspapers and magazines, television, radio, and on-line. He has published advertising, reviews, poetry, short stories, essays, and Shakespeare scholarship. Regular assignments were From Our Biblio-Files on KJAZ-FM, two years as the travel bibliographer for Incentive Magazine, and three years as the Shakespeare reviewer for Small Press magazine. Mike now writes the "Talking Books" column for Shakespeare Newsletter, and was named Contributing Editor in July 2002. In 2017 he was invited to become a General Editor of the "Recreational Shakespeare" series of books from ARC Humanities press. His work is widely cited in books and journals including the books Shakespeare and the Moving Image and Hamlet on Screen, Filmfax magazine and the journal Post-Haste. His poetry has been published under three different versions of his own name, plus the names Paul Michaels, J. M. Jesson, and Billy T. Jacobs. Co-authored with Helen D. Davies, Alzheimer's: The Answers You Need is the first guidebook to help newly diagnosed patients get through the next few years of their lives. Mike and Helen have appeared on many radio and television shows in North America, and made personal appearances to support the book. To learn more about Alzheimer's: The Answers You Need, click here. This two volume reference work was published in 2007. Mike is one of thirteen contributors, writing over 700 entries about Shakespeare on the radio and in comics. Click here to see the publisher's page for the book. 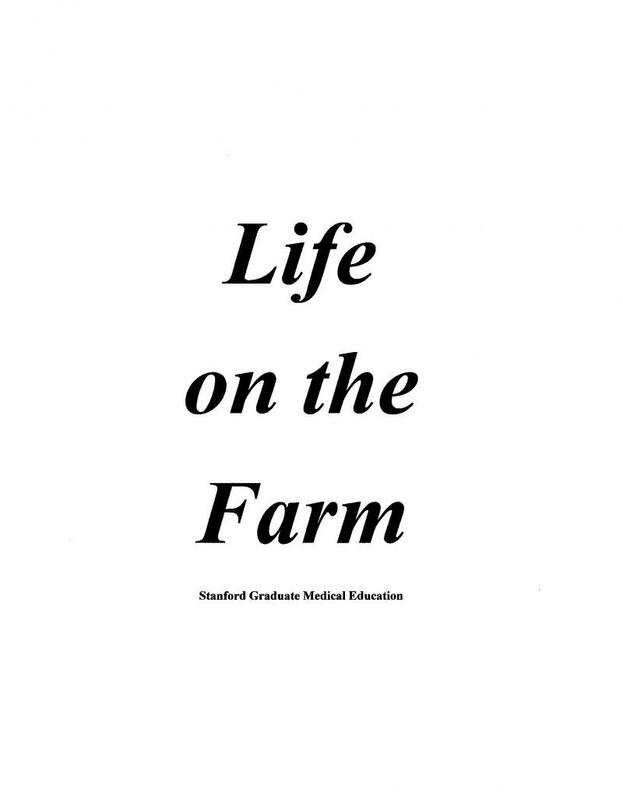 A publication of the Graduate Medical Education Office, this book orients new residents and interns to Stanford Hospital. The book explains living in the San Francisco Bay Area and commuting to work, nearby recources and communities, geting around the area, and the policies and procedures to successfully navigate training at Stanford Hospital. Mike took a version that was several years old and gave it a through updating and revision. Shakespeare Survey 61, "Lend Me Your Ears: Sampling BBC Radio Shakespeare." This article takes a case study approach to survey the work of three BBC directors who produced Shakespeare broadcasts as a means of understanding the various ways that the BBC has produced radio Shakespeare, (Cambridge University Press, 2008). Click here for the publisher's page. Shakespeare on Film, Television and Radio: The Researcher's Guide, "Henry V (1976)" "The Wars of the Roses (1965)," and "Julius Caesar (1950)," Three very short essays describing worthwhile radio and television productions of Shakespeare from the USA and Great Britain, (British Universities Film and Video Counsel, 2009). Click here for the publisher's page. The Edinburgh Compantion to Shakespeare and the Arts, (Edinburgh University Press, 2011). ﻿Mike surveys world-wide Shakespeare comic books including straight adaptations from different eras, manga, allusions, quotations, and concludes with a look at Shakespeare as a comic book character. Click here for the publisher's page. 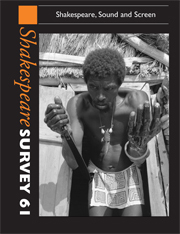 Shakespeare Survey 65, "A Midsummer Night's Dream on radio: the Oregon Shakespeare Festival's radio series" looks at the history of the OSF series as seen through three versions of A Midsummer Night's Dream and a 1951 broadcast of King Lear. Mike finds that the radio show helped the small-town theatre become the self-sustaining Festival it is today (Cambridge Univesrity Press, 2013). Click here for the publisher's page. 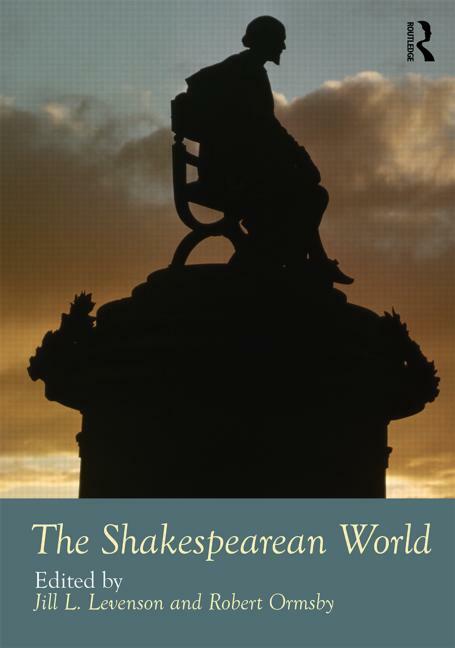 The Shakespearean World looks at how Shakespeare is represented in the world today. A brace of top scholars contributed the chapters on a wide array of subjects. Mike's chapter makes the case for performance scholars to take audio Shakespeare as seriously as they do productions for stage, film, and television. As he demonstrates, audio is a vital record of great performances and an important part of performance history. The book was published April 2017 by Routledge. Click here for the publisher's page. 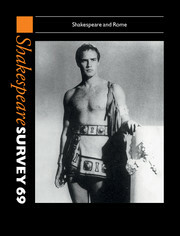 Shakespeare Survey 69 includes "The Noble Romans: When Julius Caesar and Antony and Cleopatra Were Made Sequels," a study of a 1979 BBC World Service series that recreated these plays as the saga of Marc Antony, and the peculiar historical moment that encouraged it. This book was published by from Cambridge University Press in October 2016. Click here for the publisher's page. 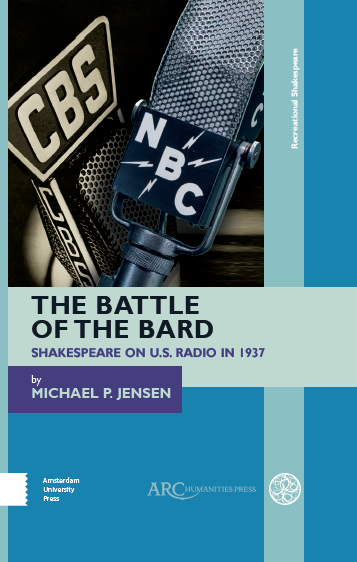 The Battle of the Bard: Shakespeare on US Radio in 1937 was just published by Arc Humanities Press and Amsterdam University Press. 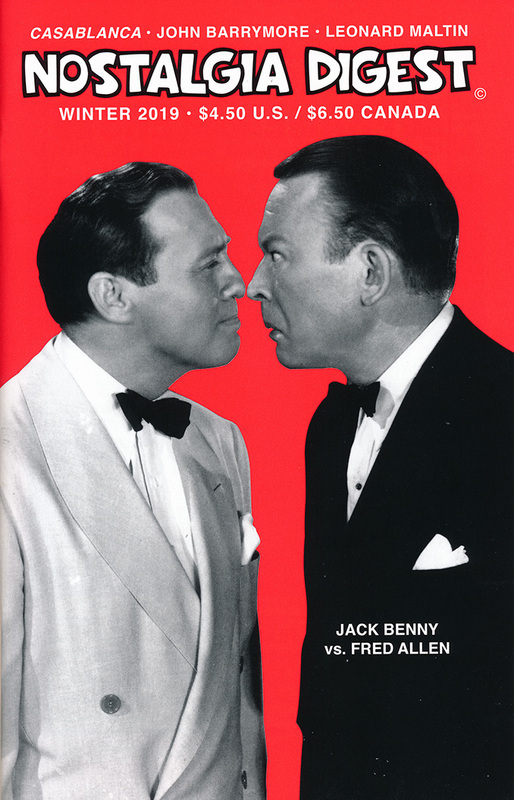 The book looks at the competition between CBS and NBC radio to identify themselves with Shakespeare in the public mind by airing competing adaptations of his plays in more or less the same time slot. Oh, how they embarrassed themselves! The book's website may be found here. A website of photos and links to some of the radio episodes may be found here. For more information, click the publisher's page here. New: Mike has joined Jeffrey Kahan and Eric S. Mallin as a General Editor of the Recreational Shakespeare series of books to be published by Arc Humanities Press. Writers are actively being sought to contribute to the series. Learn all about it and find the contact information here. Jeffeey Kanan talkes about the origin of the series and the book he wrote for the series on the New Books Network podcast, here. Mike wrote a paper about the ways Charles M. Schulz used Shakespeare in Peanuts and his other comic strip work for the "Quoting Shakespeare" seminar at the World Shakespeare Congress in England in 2016. In the first part of that year, he used the same research for a little lecutre tour in Southern Oregon. A longer version of the paper was published in Hogan's Alley #21 in April 2017. Mike has published more than 100 articles and reviews about William Shakespeare. He has lectured on Shakespeare at Stanford University, the Wooden O Symposium (Cedar City, Utah), the Oregon Shakespeare Festival, Southern Oregon University (Ashland, Oregon), the Charles M. Schulz Museum (Santa Rosa, California), and presented a paper on the history of Shakespeare comics at Wonder Con in San Francisco. His article "Forbidden Tempest" has been published three times, once on-line. Mike is also a contributor to the Non-Shakespearian Drama Database, which presents facts about the other plays and playwrights of Shakespeare's time. He frequently writes papers for Shakespeare Association of America seminars and sometimes leads them. He co-taught the Shakespeare and Popular Culture class at Southern Oregon University. The essays benind the links below were written to answer student questions or correct false impressions. They were originally posted on the course web-site at Stanford, or used as handouts in class. Another piece was created as research for a paper at the 2002 Shakespeare Association of America conference. Click here for "Two Images in Antony and Cleopatra"
Click here for "Shakespeare's Missing Mothers"
Click here for "Meta-Theatre in Julius Caesar," a look at the references to acting in that play created for the Shakespeare in Ashland class in 2017. Mike maintains a web-site for film scholars to study the marketing materials created for dozens of Shakespeare films. Click here for the Home Page and to link to the menu of films. 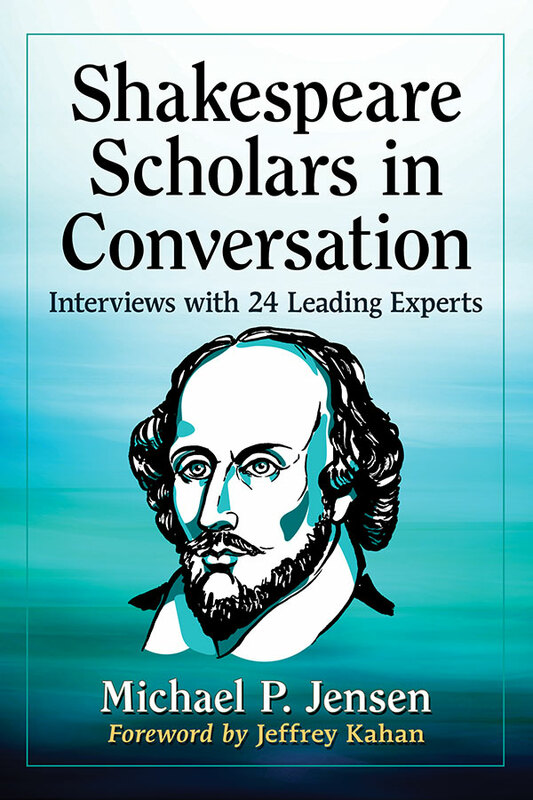 Mike created and writes the "Talking Books" column in Shakespeare Newsletter where he interviews prominent Shakespeareans about important books on Shakespeare, his theater, and his times. The column began in Fall 2001. Mike guest edited a special section about Service Shakespeare, meaning Shakespeare used in the service of different populations in need. Essays include using Shakespeare as a therapy for Alzheimer’s patients, cross-cultural education, a Shakespeare prison program, performing Shakespeare with homeless actors and actors with similar challenges, a high school Shakespeare copetition, disabled access at the Oregon Shakespeare Festival, and a paper about using Shakespeare as a therapy in film. These essays and Mike's introduction may be accessed here. We will read four plays performed by the Oregon Shakespeare Festival in 2019, Macbeth, As You Like It, All's Well That Ends Well by William Shakespeare and Luis Alfaro's revision and adaptation La Comeida of Errors﻿. Auditors will receive a discounted rate for the class and everyone enrolled in Shakespeare in Ashland will receive discounted tickets when purchased through Dr. Shurgot. Auditors who wish to learn more about the class may click here. Dates: July 30-August 2, 2019. Contact co-teacher Michael Shurgot for more information. The book Battle of the Bard finally received 22 January 2019. What took so long? Scroll down and look to the left for a description of this book. "Talking Digital" in Shakespeare Newsletter #300, cover dated Spring/Summer 2018, though released January 2019. Mike leads a round table discussion with former "Talking Books" guests about the ways that going digital has changed the way they do scholarship and writes about his own experiences with digital scholarship. 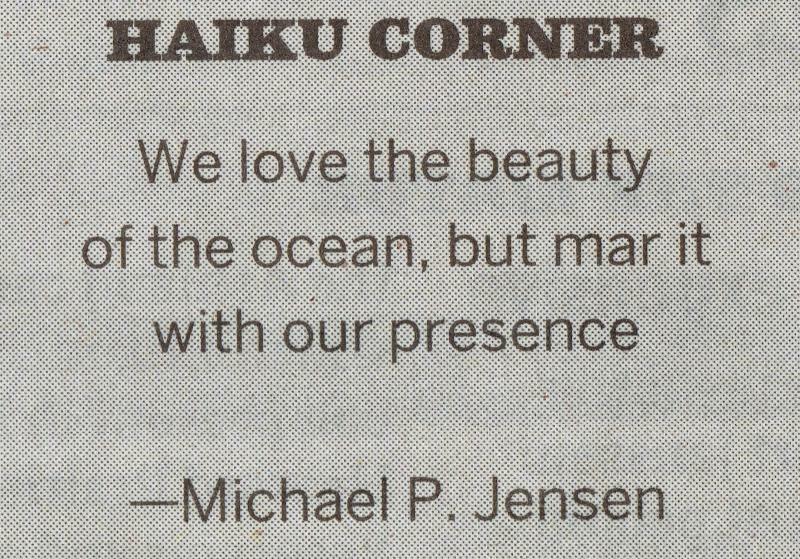 This Haiku was published in the Ashland Tidings in April 2019. "John Barrymore’s Last Career: Radio Comedian" in Nostalgia Digest, Winter 2019﻿. Click here for the publisher's page. A short book review was published in The Old Radio Times, September 2018. Click here for a PDF. Click Here for a complete list of Mike's publications. A December 2013 interview with Mike in The Shakespeare Standard may be found by clicking here. Previous interviews may be found here, and here, and though they are out of date, here and here.